ILAC launched today the Discussion Paper on Judges as Peacebuilders: How Justice Sector Reform Can Support Prevention in Transitional Settings. When rebuilding justice systems building gender balance at all levels is critical and ILAC is committed to gender balance and building gender balance at all levels is critical. 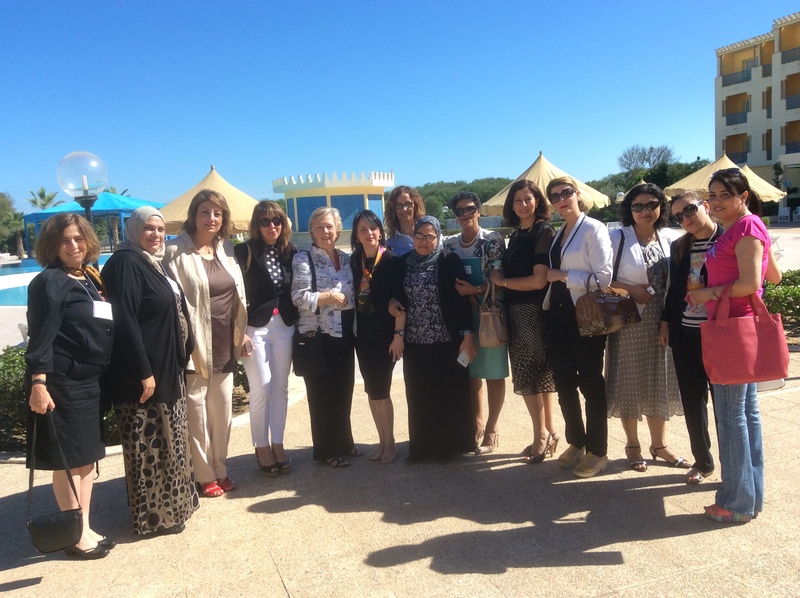 The focus of a current regional part of the ILAC MENA Programme is to strengthen women judges’ capacity to provide judicial leadership on gender and access to justice. Rebuilding justice systems is a complex process and often governments in fragile, post conflict countries are unequipped to deal with the international community’s offers for financial and technical support. ILAC Champions Coordination between Local Stakeholder Institutions & the International Community. ILAC works with governments, civil society and other stakeholders to provide assessments and expert guidance on how to rebuild their justice systems after conflict. ILAC’s vision is justice for all and our mission is to rebuild justice systems that are based on a rule of law and the protection of human rights. We never work in countries uninvited. What sets ILAC apart is our consortium’s expansive reach and technical expertise. ILAC comprises over 50 international legal technical assistance organizations of lawyers, judges, prosecutors and academics. Our member organizations represent more than three million individuals worldwide and are typically among those providing technical assistance in post-conflict scenarios. ILAC is fast and flexible and able to provide a solid mechanism for coordinating international assistance. Such coordination can be key to reducing the burden on a recipient country and the potential for overlap between assistance programs..
ILAC helps local stakeholders to prioritize between different types of assistance and to develop a timeframe for effective programs. Sometimes this advice and guidance is the best assistance. Since 2002, we have initiated and coordinated support in over 15 countries in projects ranging from training judges in Iraq, running a nation-wide legal aid program in Haiti to building an independent bar association in Afghanistan. Over the years, ILAC has done work in Afghanistan, Algeria, DRC, Haiti, Iraq, Kenya, Liberia, Libya, Morocco, Rwanda, South Sudan and Tunisia. ILAC and its member-organizations are committed to building the capacity and infrastructure of key rule of law institutions across the Middle East and North Africa, including the judiciary, bar associations, and independent human rights and anti-corruption agencies to promote accessible, effective and timely justice for all. When ILAC first assessed Liberia’s judicial process in 2003, at the invitation of the Liberian UN Mission, we found that a key barrier to accessing justice were the painfully slow court proceedings. One of the many areas the ILAC Liberia program addressed, ILAC launched a court reporting project with the James A. Pierce Judicial Institute that, according to one judge, improved the efficiency of his court from managing 1-2 trials every 42 days to managing 5-6. Learn more about ILAC’s work in Liberia. Learn more about ILAC’s court reporting pilot project. Learn more about ILAC’s work in Haiti to improve access to justice through legal aid clinics.